The hosts are now in an unenvious position where they need to win seven of the remaining eight matches to be in Play-offs contention. 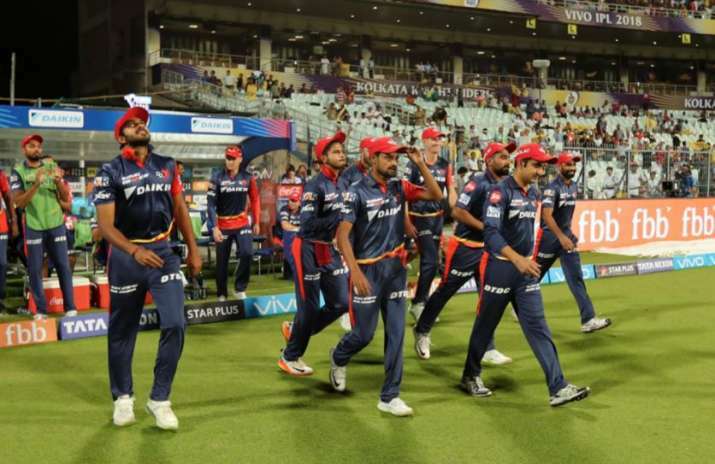 Struck by the crisis emanating from Gautam Gambhir's resignation as captain, a beleaguered Delhi Daredevils face a herculean task to revive their IPL campaign when they clash with Kolkata Knight Riders at Feroz Shah Kotla under young skipper Shreyas Iyer. Gambhir leaveing captaincy midway into the tournament does not guarantee resurrection of the side but the left-hander's decision has given the team management a chance to infuse new life into the franchise with new ideas. Gambhir's rough patch, along with poor form of other batsmen, has resulted in over-reliance on young Rishabh Pant. The team has lost five of its six matches and is languishing at the bottom of the points table. Gambhir the batsman would still be critical if a turnaround has to happen for the Daredevils but it remains to be seen if he remains in the playing XI. The 23-year-old Iyer is faced with the enormous task of turning it around for the team as a leader. The young batsman showed that he has the heart for a fight when he took it upon himself to steer the side against Kings XI Punjab. He almost pulled it off but fell short by one big shot. However, it was a performance which indicated that he is not averse to taking responsibility, which is the need of the hour for the Daredevils. The Daredevils have not been particularly lucky on the fitness front either with Jason Roy (side strain) and Chris Morris (back problem) recovering. The only game Daredevils have won so far was shaped by Roy's unbeaten whirlwind knock of 91 on debut. A big player not to have clicked for them is Australian all-rounder Glenn Maxwell. Maxwell has scores of 17, 13, 47, 4 and 12 so far and it is absolutely imperative for the Daredevils that he regains his form. On the other hand, KKR are also struggling a bit with their bowling. But what has worked reasonably well for them is their batting. Their willow-wielders have been contributing consistently, twice taking the side past the 200-mark but bowlers have struggled to defend even big totals. KKR have won three matches and lost as many to sit fourth in the table. The last time the two sides clashed, it was KKR which dominated by putting 200 runs on the board to win by a comprehensive 71-run margin. It's a spin-heavy attack for KKR with Sunil Narine, Kuldeep Yadav and Piyush Chawla doing the bulk of the job. The slow conditions at the Feroze Shah Kotla are likely to suit this combination while the young Shivam Mavi and England's Tom Curran would spearheading the pace attack. Australian quick Mitchell Johnson has got only two games so far. Andre Russell has done a fine all-round job for them and the West Indian continues to be a vital cog for them. His brute power would be of immense use on Kotla pitch where the ball may not come on to the bat easily. The conditions will testing for KKR batsmen. Delhi Daredevils: Shreyas Iyer (C), Chris Morris, Rishabh Pant, Glenn Maxwell, Gautam Gambhir, Jason Roy, Colin Munro, Mohammed Shami, Amit Mishra, Prithvi Shaw, Rahul Tewatia, Vijay Shankar, Harshal Patel, Avesh Khan, Shahbaz Nadeem, Daniel Christian, Jayant Yadav, Gurkeerat Singh Mann, Trent Boult, Manjot Kalra, Abhishek Sharma, Sandeep Lamichhane, Naman Ojha, Sayan Ghosh and Liam Plunkett. Kolkata Knight Riders: Dinesh Karthik (C), Andre Russell, Sunil Narine, Chris Lynn, Robin Uthappa, Mitchell Johnson, Piyush Chawla, Kuldeep Yadav, Shubman Gill, Ishank Jaggi, Nitish Rana, Vinay Kumar, Apoorv Wankhade, Rinku Singh, Shivam Mavi, Cameron Delport, Javon Searles, Tom Curran and Prasidh Krishna.